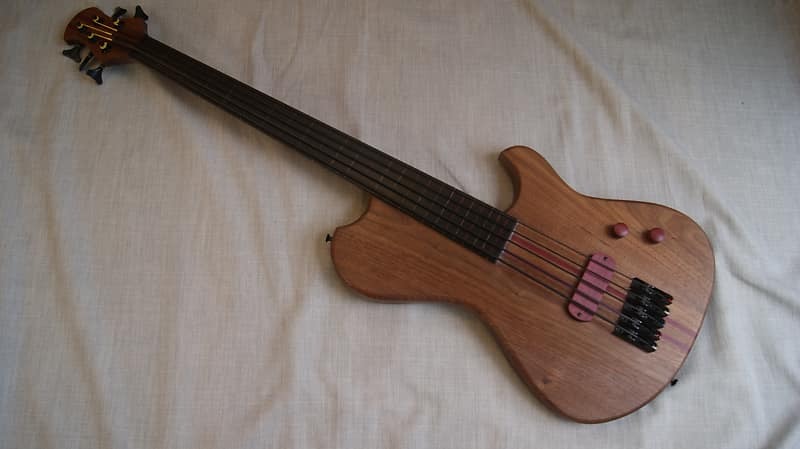 Handcrafted 5 string fretless bass. 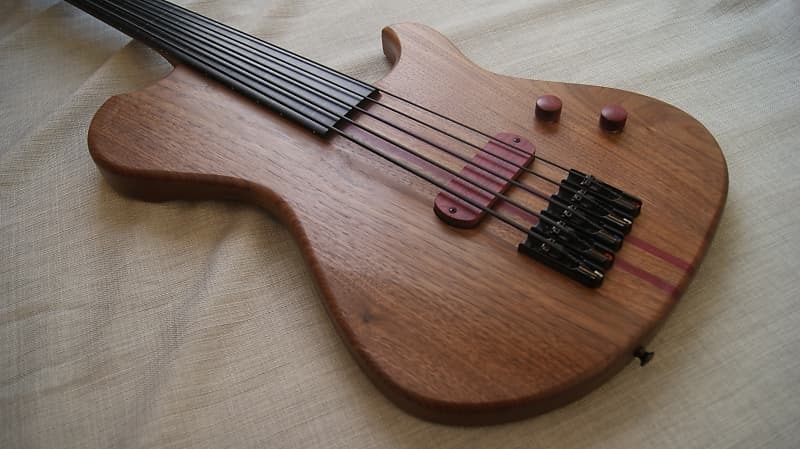 Superb tone and build quality. Made in the UK. 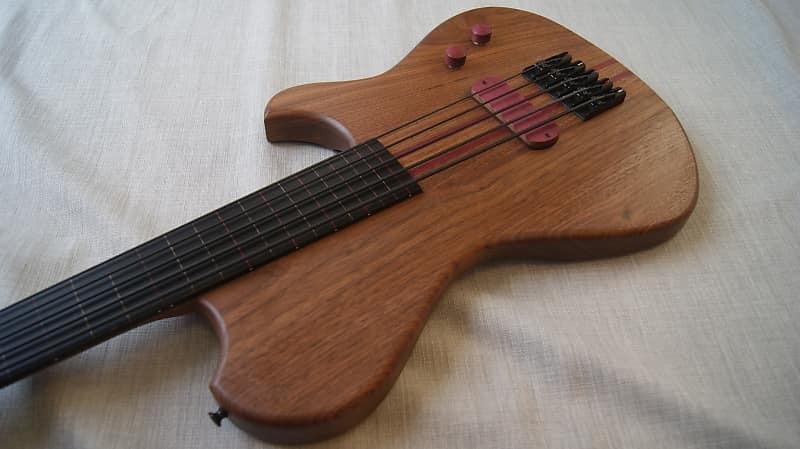 5 string single cut fretless bass by Jon Letts. 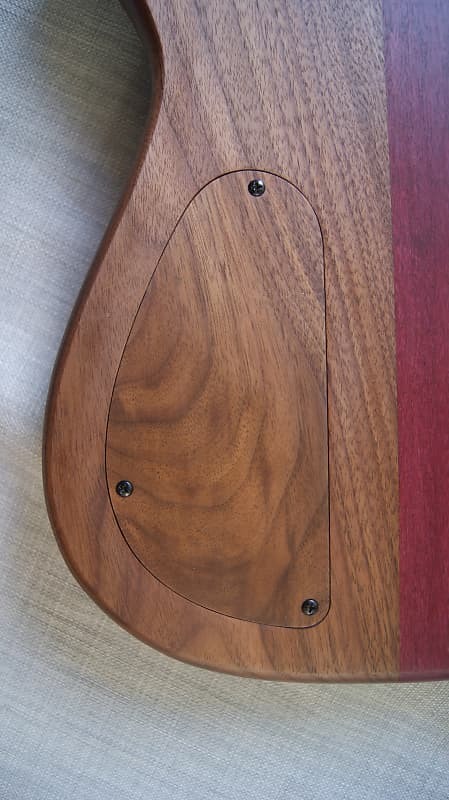 Black Walnut and Purpleheart body. 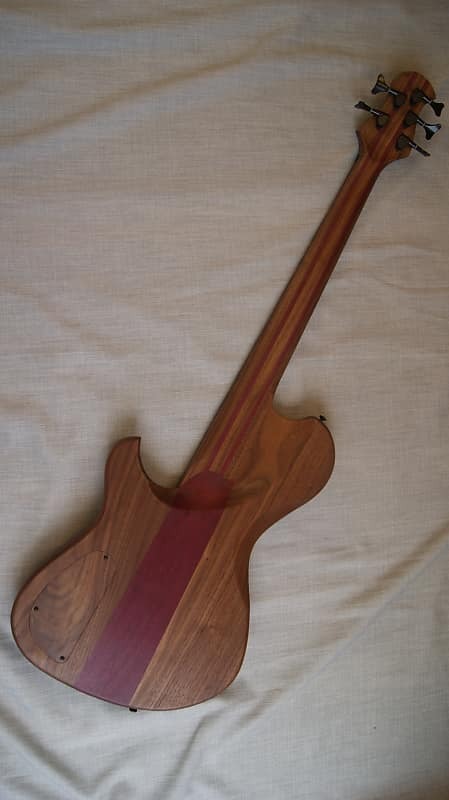 Black Walnut and Purpleheart 5 piece neck through with 2 way truss rod. 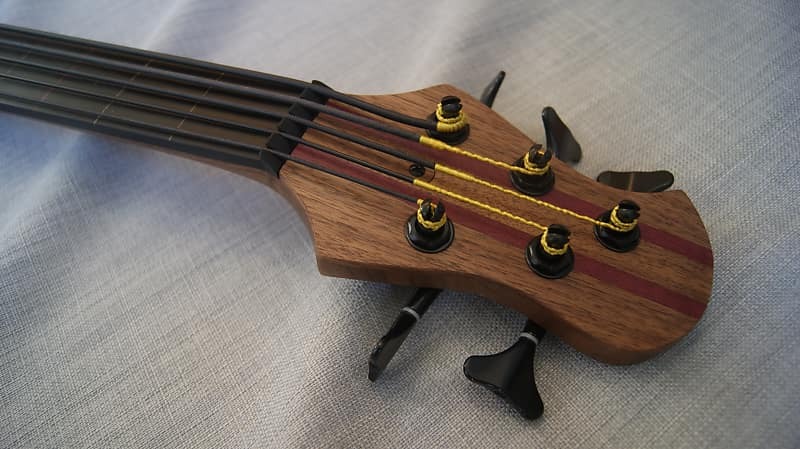 44mm nut width and 18mm bridge spacing. 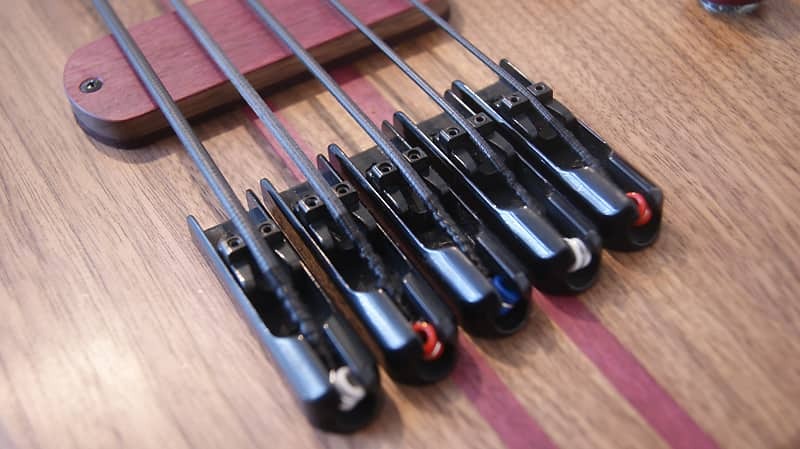 Black hardware with individually grounded single string bridges. 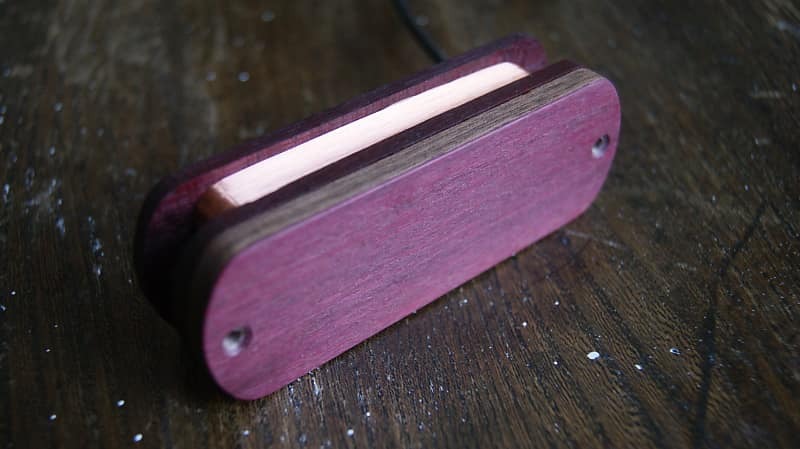 Single Alnico V Walnut/Purpleheart humbucker. Recessed truss and control cavity covers. 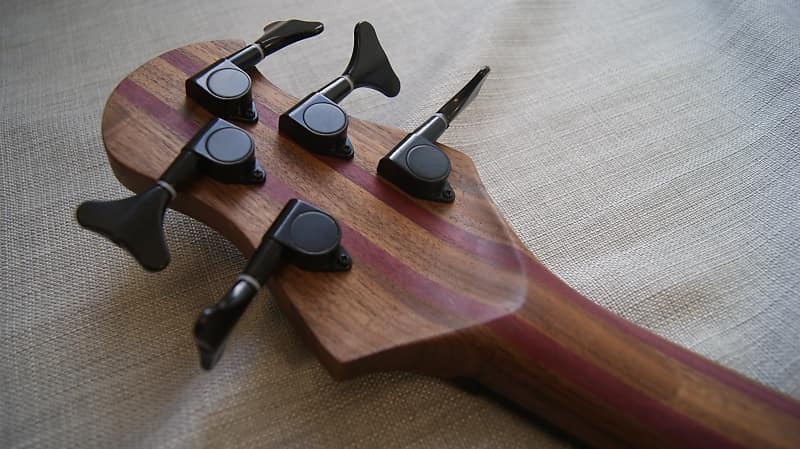 Volume and tone with and side mounted output and matching knobs. 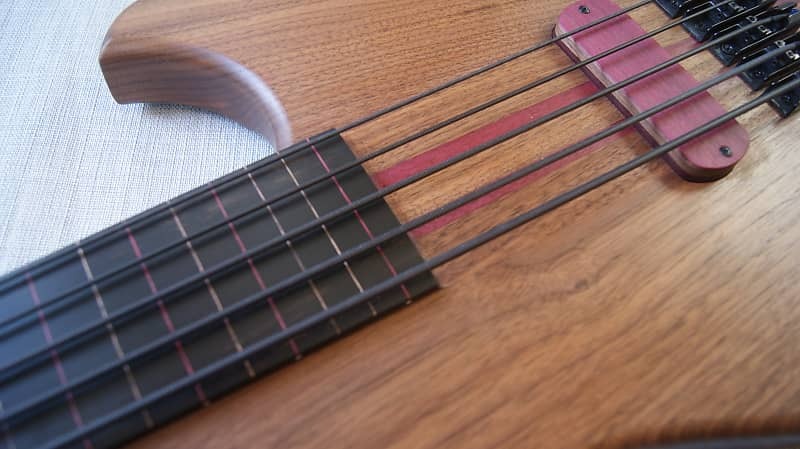 Rotosound tru bass tapewound strings. 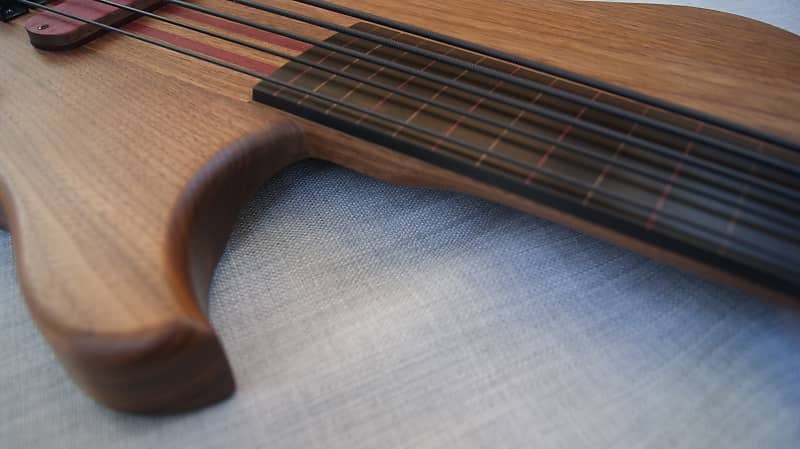 Made in England using the highest quality tonewoods available. 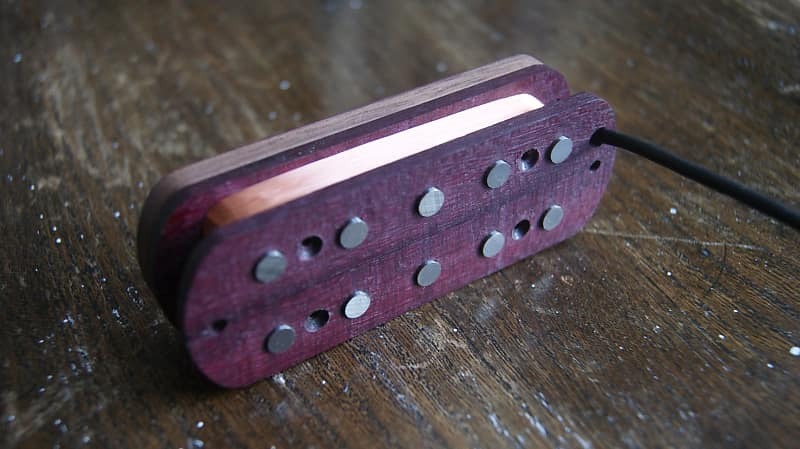 Hand built, scatter wound Alnico V humbucking pickup. Simple passive circuit providing a clear and transparent signal. 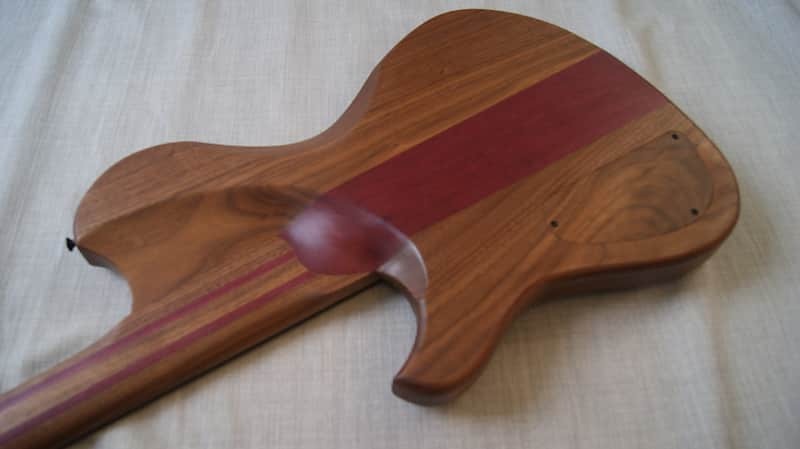 The neck is laminated from American Black Walnut and Purpleheart with Black Ebony fingerboard and Walnut pickup. 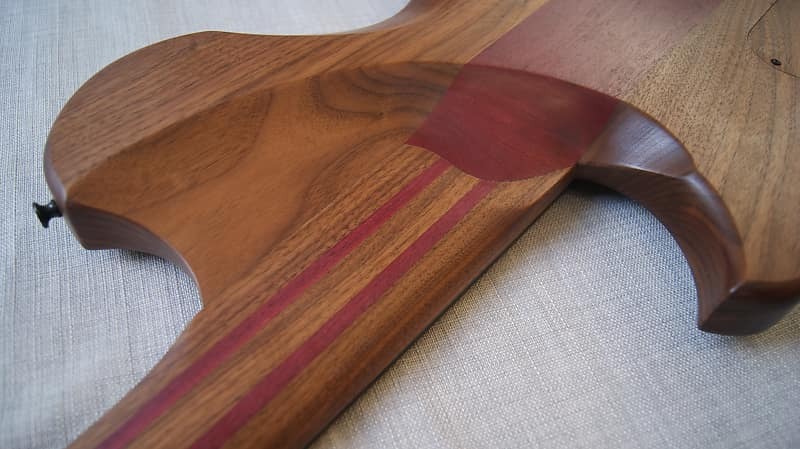 Walnut, Purpleheart and Ebony are all highly resonant tonewoods that lend themselves perfectly to musical instrument making. 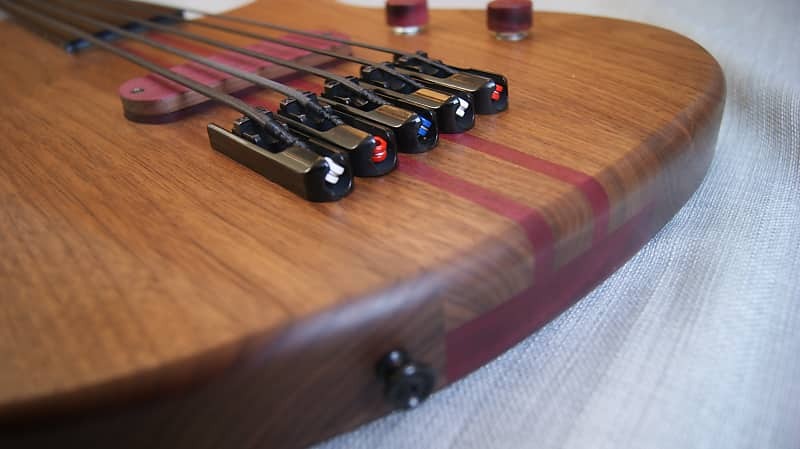 Guaranteed build quality. 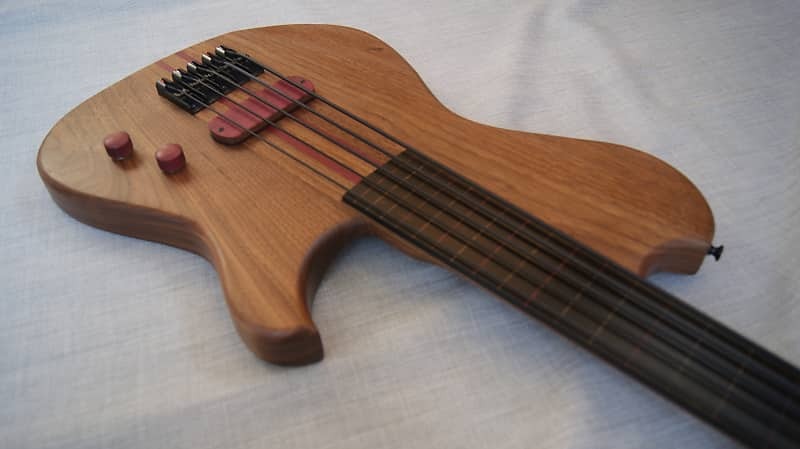 Bass is as described out of the box or your money back.